Hiroshi Matsumoto, head of the ITER Director-General's Office, and Alan Costley, Head of the Diagnostics Division, travelled to Canberra, Australia from 1-3 February to explore, in conjunction with Australian scientists and representatives from Government, the ways in which it may be possible for Australia to contribute its scientific expertise to the ITER Project. 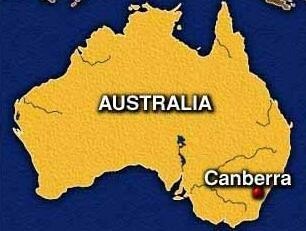 Australia has a long and very successful history in fusion research, and a significant fusion facility—the H-1NF—is located at the Australian National University (ANU) in Canberra. An area of particular expertise for the Australian researchers has been the development and implementation of diagnostic systems, and this area took centre stage at the meetings in Canberra. Mr. Costley outlined the current status of the ITER Project and emphasized the new diagnostics systems that have been introduced following the ITER design review. These include systems for measuring divertor and first-wall erosion, dust, and retained tritium—all areas that could benefit from Australian know-how. Mr. Matsumoto explained that Australia, as a non-ITER party, could potentially contribute to ITER by concluding a Cooperation Agreement with the ITER Organization, subject to unanimous approval by the ITER Council. Representatives from the Australian fusion science community reiterated their goal of aligning future R&D efforts with work going on at ITER. Negotiations will continue in Australia to secure financing for a possible contribution. Mr. Matsumoto expressed support for the Australian initiatives, noting that the ITER Project has become a magnet for pooling the world's excellence in fusion research.